“There are strong speculations that Prophet T.B. Joshua’s church was brought down by a remote-control device and not a faulty foundation”. The famed lawyer’s shocking statement stands in contrast to the position of the Lagos State Government, which has been fighting a prolonged legal battle insisting the building collapsed due to structural faults. The Nigerian politician added that the helicopter which tragically killed Kaduna Governor Patrick Yakowa and Nigeria’s former national security advisor, Gen Azazi, in 2012 was “brought down by a similar device and by the same people”. 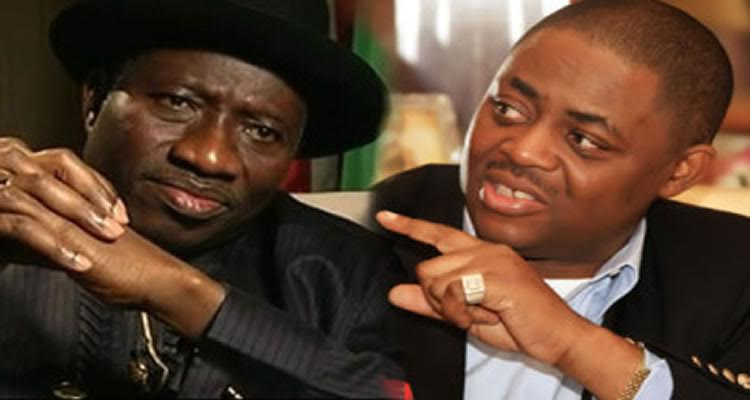 The fiery advocate surmised that forces from within the then Nigerian President Goodluck Jonathan’s intelligence were the brains behind both tragedies. 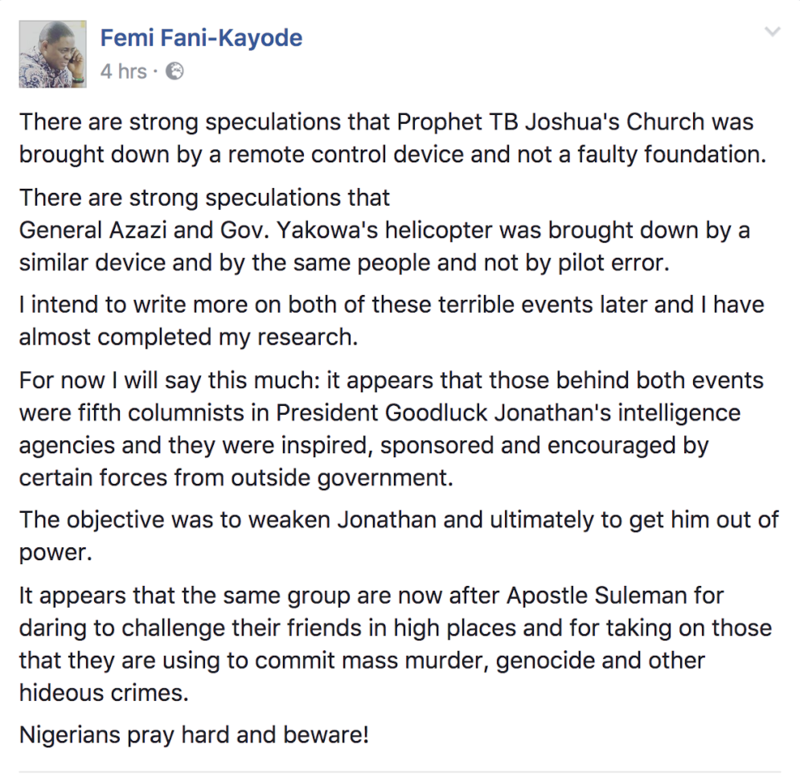 He then opined that the current travails of another Nigerian Pastor, Apostle Johnson Suleman, were also orchestrated by the same group. From the onset, T.B. Joshua insisted that structural defects were not the cause of the incident, noting that a military aircraft encircled the building several times before its sudden collapse. CCTV footage of the deadly collapse, showing the swiftness and straightness of its uncanny descent, went viral on YouTube, giving room to speculations that some form of ‘controlled demolition’ was responsible. This entry was posted in Featured Articles on March 14, 2017 by TB Joshua Fans UK Blog.